As each day passes, there is an increase in numbers of compliance officers. However, the increases have not reduced the incidents of corporate scandals and fraud. I believe this is because the necessary measures of educating the officers on what to do in such cases have not been stipulated. A recent report from Sterling Management, a management-consulting firm in Los Angeles shows that there is an explanation for increase in unethical behaviors. CEO Kevin Wilson states that ethics officers are not given the appropriate authority, power and knowledge on controlling the issues before they get out of hand. Such positions lack the critical training gaps and there is limited freedom for officers to face the challenges. Another factor that contributes to the increase in fraud cases is the salary allocated to ethics officer. In 2014, the Bureau of Labor Statistics revealed that the median yearly salary of compliance officers was $64,340. In the case of the Volkswagen emissions software scandal, I believe that there may have been a possibility that the compliance officers may have not discovered the illegal software problem on time. However, if an officer had discovered the problem, it is unlikely that the officer would establish authority over the practices of executives who are making around 50 times more in bonuses alone. Officers are programmed to fail as long as there is lack of proper skill set. I believe that compliance officers are tasked with maintaining the highest levels of acquiescence in a given corporation. The rigorous job has to be accorded the value it deserves and ethic officers need to improve their governance power and effectiveness. Companies need to consider the position as one that deserves independence and a single focus. I have noticed that a number of chief compliance officers hold more than one position in a company. This way, they are unable to be actively involved in their functions. 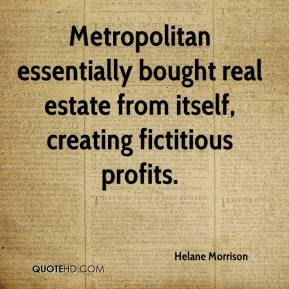 Helane Morrison is the managing director, chief compliance officer and counsel at Hall Capital Partners. Helane has been with the firm since 2007. Prior to her current position, she headed the Securities Exchange Commission office in San Francisco. She has worked in different positions at the Securities Exchange Commission from 1996 until her departure in 2007. Morrison graduated with a law degree from the University of California at Berkeley. Helane also attended Northwestern University where she earned her degree in Journalism. She has worked as a law clerk for both Harry Blackmun, the Supreme Court Justice and Richard Posner of the U.S. Court of Appeals. Learn more about Helane on her Crunchbase profile.